« Easter Special Day Offering Expands Your Giving to the World! 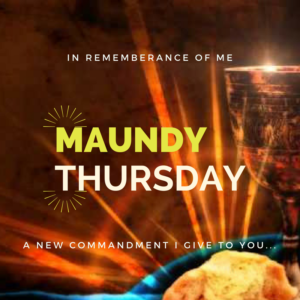 Maundy Thursday is an alternate name for Holy Thursday, the Christian holy day falling on the Thursday before Easter. It is the first of the three days of solemn remembrance of the events leading up to and immediately following the crucifixion of Jesus. The English word “Maundy” comes from the Latin mandatum, which means “commandment.” As recorded in John’s gospel, on his last night before his betrayal and arrest, Jesus washed the feet of his disciples and then gave them a new commandment to love one another as he had loved them (John 13:34). This is why services on this night generally include the washing of feet or other acts of physical care as an integral part of the celebration. 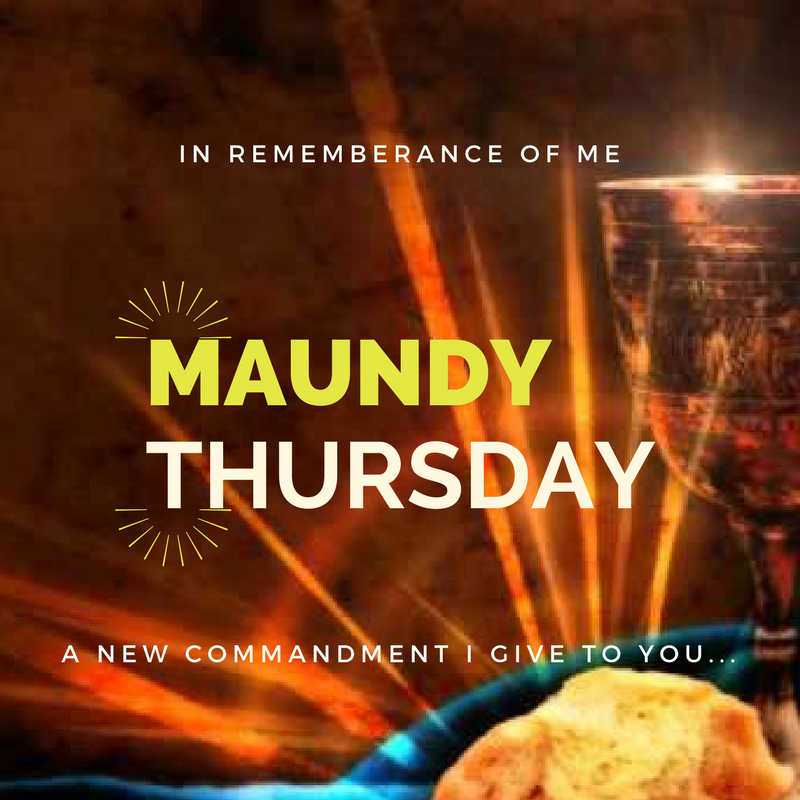 This year our church family will join with Trinity Episcopal Church for their Maundy Thursday service. They have asked our pastor, Rev. Terri to serve as the guest preacher. Partake in the traditional washing of the feet and stripping of the altar. The church’s info is listed below.